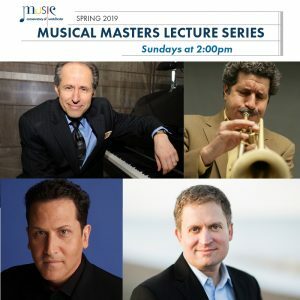 (White Plains, NY) The Music Conservatory of Westchester announces four in-depth musical experiences as its new Musical Masters Lecture Series begins on Sundays at 2 PM during spring 2019. Open to the public, the Conservatory’s lecture series will include insight from experts Michael Boriskin, Mark Morganelli, Andrew Armstrong, and Elliott Forrest on the topics of Chamber Music, Brazilian Jazz, Musical Storytelling, and Film Music, respectively. On Sunday, March 3rd at 2 PM, the first of the four lecture presentations, “The World of Chamber Music: Rational (and Irrational) Conversations,” will be led by Michael Boriskin, Artistic & Executive Director of Copland House. 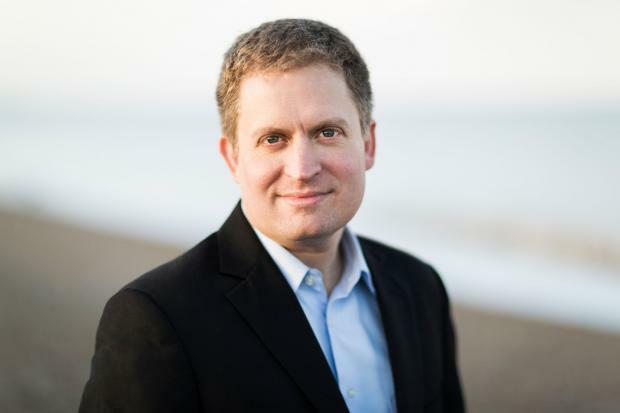 An internationally-acclaimed pianist and expert on chamber music, Boriskin will dive into the concept of this genre he describes as “rational people conversing.” He will share his take on the provocative, innovative, and intensely moving musical works written for small instrumental ensembles that inspire these dialogues. With live and recorded performances, his presentation will sample revered classics, lesser-known masterworks, intriguing rarities, and works mixing unusual instrumental combinations, as well as recent pieces that are new benchmarks for coming generations. In a musical adventure, the lecture will explore the span of nearly 250 years of chamber music compositions from Haydn, Beethoven, Brahms, Dvorak, Tchaikovsky, Copland, Messiaen, and much more, discussing the mastery within these conversations both rational and irrational. Following those exhilarating experiences will be “Musical Storytelling: The Poetry behind Piano Masterpieces” with acclaimed concert pianist Andrew Armstrong on April 28th, and “Film Music: Groundbreaking Director/Composer Collaborations” with Peabody Award-winning Broadcaster & Producer and WQXR radio host Elliott Forrest on May 19th. 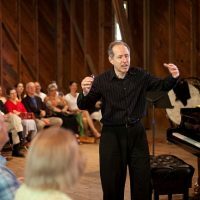 Learn more about all four lecture series presentations at http://www.musicconservatory.org/musical-masters-lecture-series. These exclusive events are not to be missed! Hailed by American Record Guide as “one of the most skilled and versatile musical figures of his generation,” internationally-acclaimed pianist Michael Boriskin has taken listeners in over 30 countries on provocative journeys across four centuries of music. From Berlin to Buenos Aires and Toronto to Tokyo, he has appeared at stages, including the Kennedy Center, Carnegie Hall, Lincoln Center, Ravinia Festival, BBC in London, South West German Radio, Vienna’s Arnold Schoenberg Center, and Library of Congress. 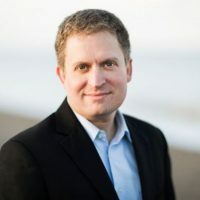 He has performed as soloist with leading orchestras here and abroad, and as guest artist with countless chamber ensembles, and has recorded extensively for SONY Classical, Naxos, New World, Bridge, and other American and European labels. 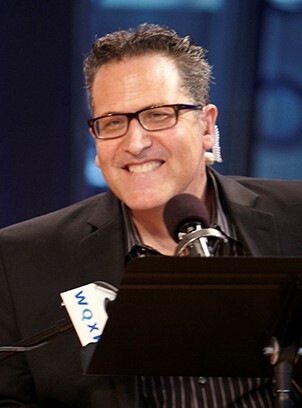 He is a familiar presence on National Public Radio as a performer, commentator, and host. 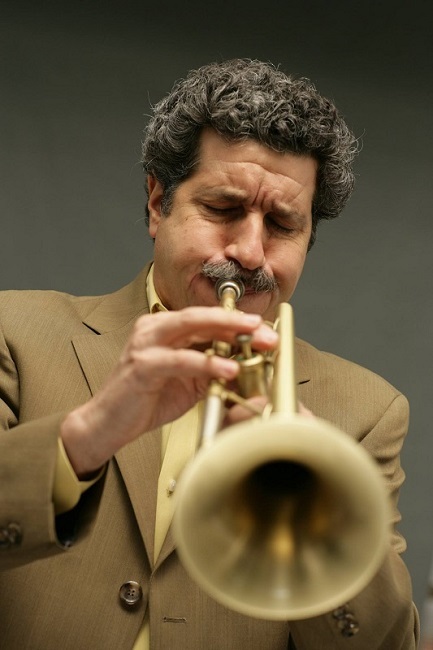 He also served as Music Director of Mikhail Baryshnikov’s fabled White Oak Dance Project, and has been a program advisor for the New York Philharmonic, Carnegie Hall, U.S. Department of State, and many other preeminent institutions. 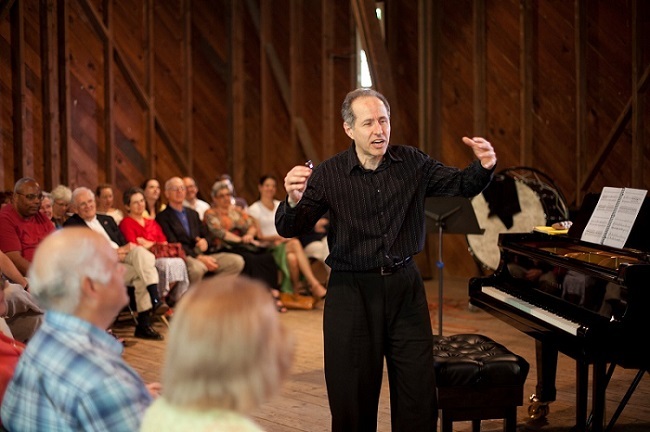 He is the longtime Artistic and Executive Director of Copland House, the award-winning creative center for American music based at Aaron Copland’s National Historic Landmark home in northern Westchester. Praised by critics for his passionate expression and dazzling technique, pianist Andrew Armstrong has delighted audiences across Asia, Europe, Latin America, Canada, and the United States, including performances at many of the world’s great halls. Andrew’s orchestral engagements across the globe have seen him perform a sprawling repertoire of more than 50 concertos with orchestra. 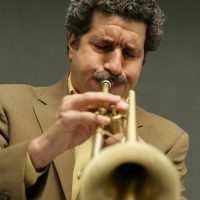 He has performed with such conductors as Peter Oundjian, Itzhak Perlman, Günther Herbig, Stefan Sanderling, Jean-Marie Zeitouni, and Stanislaw Skrowaczewski, and has appeared in solo recitals in chamber music concerts with the Elias, Alexander, American, and Manhattan String Quartets, and also as a member of the Caramoor Virtuosi, Boston Chamber Music Society, Seattle Chamber Music Society, and the Jupiter Symphony Chamber Players. Beginning in 2018, Andrew became Artistic Director of the Chamber Music on Main series at the Columbia Museum of Art in South Carolina. That same year, he also was appointed Director of the Green Lake Festival of Music’s Chamber Music Camp in Ripon, Wisconsin. He has released several award-winning recordings with his longtime recital partner James Ehnes — most recently Beethoven’s Sonatas Nos. 6 & 9, to stellar reviews, Gramophone’s Editor’s Choice, and Sunday Times’ Disc of the Week. In the 2019-20 and ‘20-21 Seasons, the duo celebrates the 250th Birthday of Beethoven by recording the master’s complete ten Violin Sonatas as well as performing the cycle in major cities around the world. Andrew is devoted to outreach programs and playing for children. 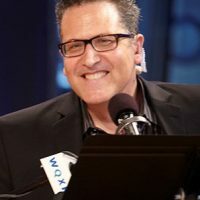 In addition to his many concerts, his performances are heard regularly on National Public Radio and WQXR, New York City’s premier classical music station. Mr. Armstrong lives happily in Massachusetts, with his wife Esty, their three children including one-year-old Gabriel and big siblings Jack & Elise, their two dogs Comet & Dooker, and betta fish Gerald. For more information about the Musical Masters Lecture Series and the Music Conservatory of Westchester, please contact Adriana Rivera, Communications and Development Assistant, at [email protected] or 914-761-3900 x135. This entry was posted in Press Releases and tagged Andrew Armstrong, Brazilian Jazz, chamber music, Elliott Forrest, Film, Jazz, Lecture series, Mark Morganelli, Michael Boriskin, music, music conservatory of westchester, Musical Masters Lecture Series, piano. Bookmark the permalink.